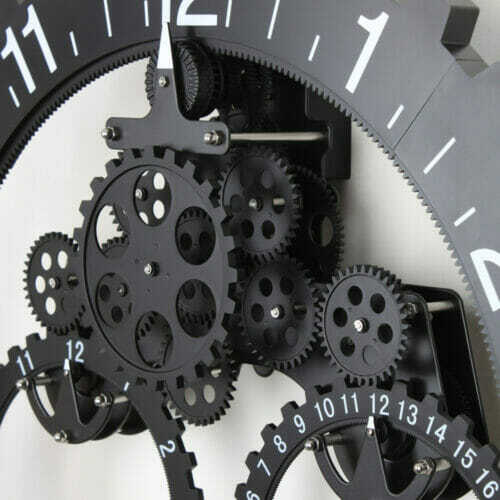 This fantastic wall clock has many gears spinning quietly nonstop 24 hours a day. You can read the date and month on the 2 little wheels on the center and the time on the large 22 inches wheel. 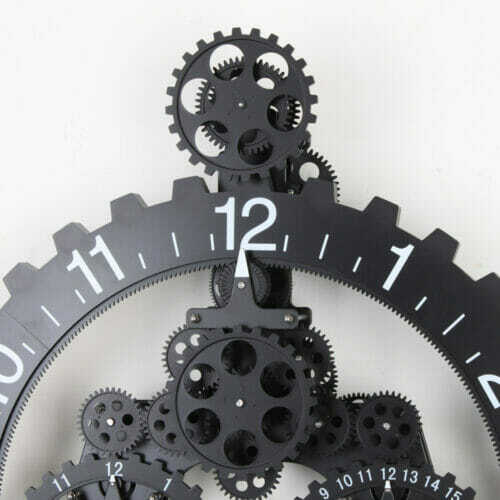 All gears are made of plastic and the main unit is made of steel. 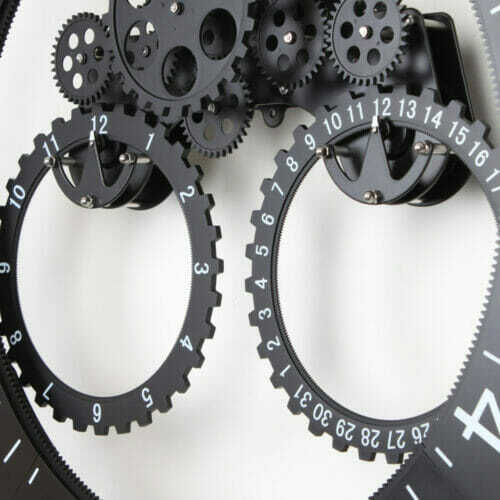 Nice decoration at home or office. I received this faster than I was told to expect it. Shipping and packing was without incident. 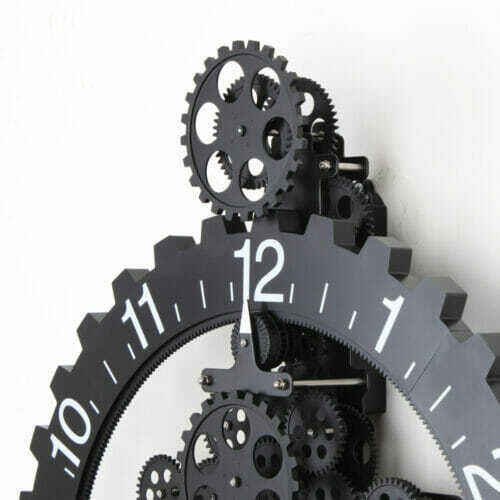 I get so many compliments on this whimsy of a clock for my new kitchen remodel wall..already been offered to purchase by several friends..told them to go buy their own..a little pricy, but it is working and keeping good time..only have to change the month manually..the time and date are keeping accurate time and dates through the month..would highly recommend..I purchased the black & white one..comes in a couple of different finishes..
It’s as described; a very beautiful gear clock, which arrived well-packed in about 10 days. 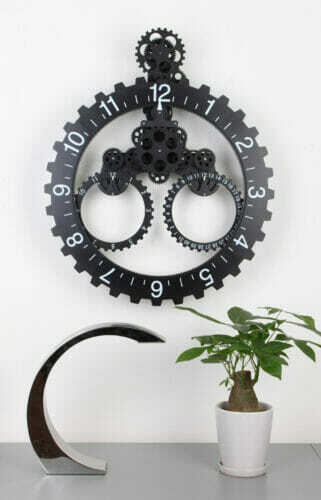 IMPORTANT: before hang it, check and screw well the loose nuts, if any, otherwise the clock won’t keep good time!!! !